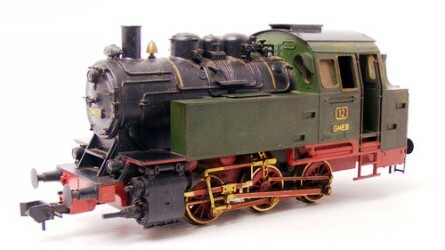 The 5702 is an attractive locomotive, with the number “12” on its cab side, along with the letters “GMEB” (supposedly standing for “Groß Märklin Eisenbahn”, “Large Märklin Railroad”). This lettering was a side look at competitor LGB. 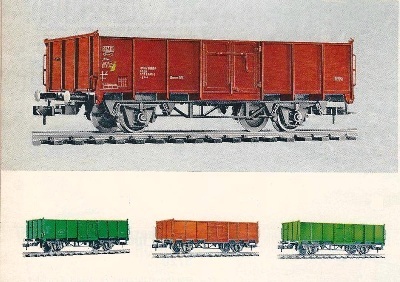 The other new item in the Gauge 1 product line were 5962 and 5963, remotely controlled versions of the track switches (turnouts). 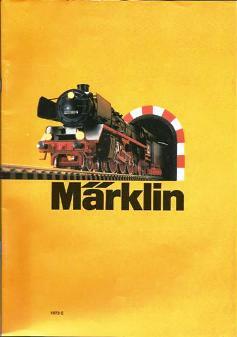 At this stage in the product line’s development, Märklin was proceeding cautiously, unsure about Märklin I’s acceptance in the market. 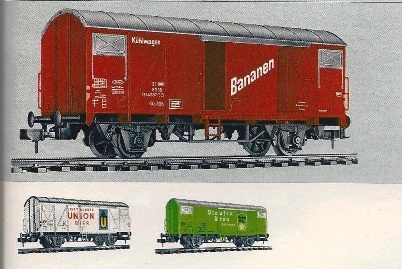 5860 - The GLs box car with “Bananen” (Bananas) marking on the doorway. 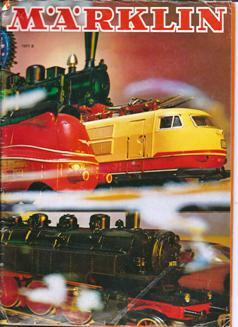 This was an exception to the typical Märklin banana car, which usually is yellow in color. 5861 - The GLs in white, lettered for Dörtmunder Union beer. 5862 - The GLs in green lettered for Staufenbräu beer. 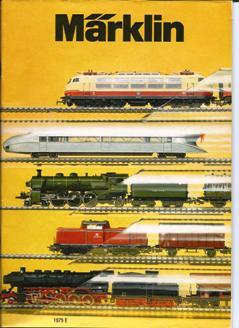 5850 - Gondola in brown, lettered for DB. 5851 - Gondola in green, lettered for SNCB (Belgium). 5855 - Gondola in orange. 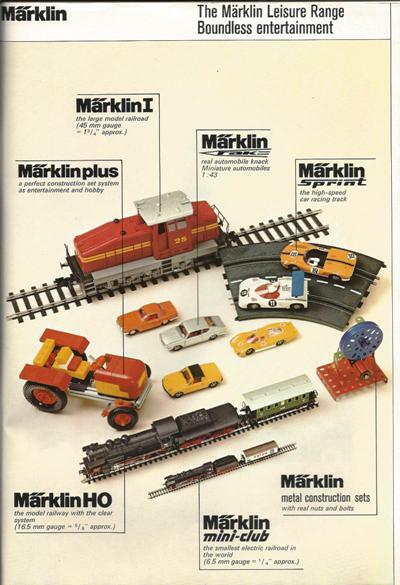 The first half of the 1970’s decade was ending with a whimper for Märklin 1, and there surely must have been discussion in the model railroad business about Märklin’s commitment to Gauge 1. 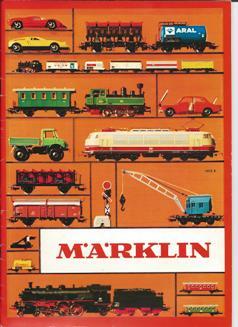 Surely, Märklin could do better, but the Company was no doubt distracted by the stunning success of mini-club and distracted by the legal issues arising from the Märklin Plus product line. 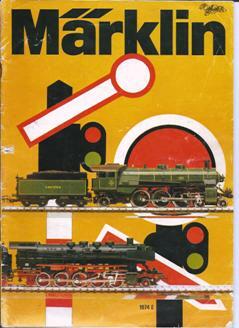 Time would eventually prove the critics wrong about Märklin Gauge 1.